Most cat experts recommend premium brands of cat food that avoid ingredients like meat byproducts and chicken meal. However, feral cats eat a whole rodent or whole bird. Sometimes they leave things like feathers or the head behind, but otherwise, the cat is consuming the whole body of an animal. It seems like the cheaper brands, as long as they don't contain excessive carbohydrate fillers, would be closer to a natural diet than the premium brands. Why isn't this the case? Meat byproducts can include clean and nutrient-rich organ meats such as lungs, spleen, liver, kidneys, stomach, and intestines that are cleaned of their contents. They are not allowed to contain hide, hooves, horn, or teeth. Meat meal is further cooked (rendered) to kill any bacterial contaminants, and dried. 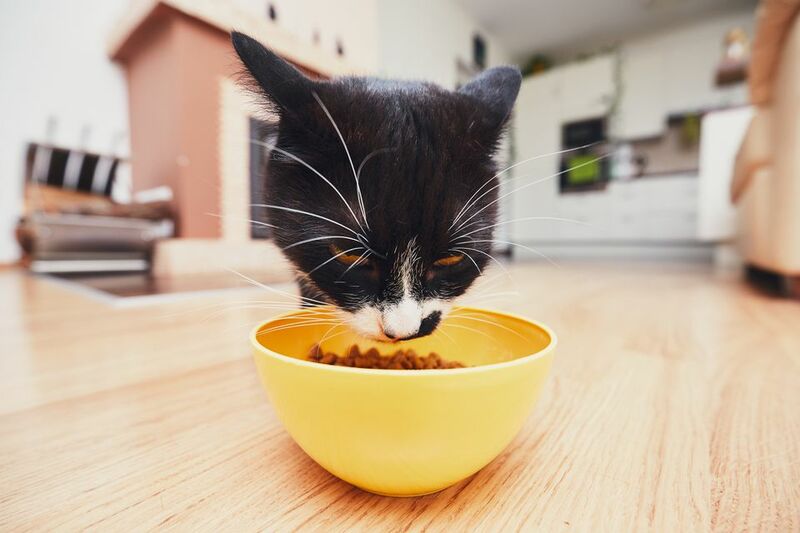 While it's true that cats in the wild eat the whole bodies of their catch (including the heads in some cases), the term "meat byproducts" has become a dirty word to many cat experts, because of its misuse by some members of the cat food industry. As a result, experts have traditionally counseled readers to avoid all byproducts for this reason. The founders of the Feline Future website analyzed the ingredients and nutritional properties of foods cats eat in the wild over a period of a decade or more, and the result was their "recipe" for the Feline Future raw food diet for cats—one which has set the standards for raw feeding to this day. Actually, they do use a larger proportion of meat to internal organs. In addition, chicken hearts and livers (which are excellent sources of taurine) are added in limited quantities, because of the dangers of "overdosing" with vitamin A. In a nutshell, a named byproduct (such as "chicken byproduct meal") may possibly be acceptable, but it should not be listed as the first ingredient in cat food. Unfortunately, there is no way to ​know the exact proportion, by weight, of any individual ingredient. Although the label may list protein as 30 percent of the product's weight, that protein will include meat, byproducts, eggs, certain grains, and other forms of protein in the can or bag of cat food. As a result, it's better to see the named byproducts relatively far down on the label. Many cheaper brands of dry cat food contain large amounts of carbohydrate fillers. This is usually in the form of corn, which may be difficult for cats to digest, and some cats have food allergies to corn. However, many premium brands of dry food also contain large amounts of carbohydrate fillers. In the manufacturing process of extrusion (which is a heat-based process), it is necessary to have these dry ingredients in order to effectively shape the dry food nuggets. Some brands of dry food do not use grain fillers, although some of these foods are not carbohydrate-free. The most important part of the label on any pet food is the nutritional adequacy statement. Look for the statement that it is "complete and balanced," which means that it has all of the nutrients your cat needs and they are present in the correct ratios. If you see "complete and balanced" the product will not have an excess of carbohydrates.